Sandals for Maddie, Laura and A3 is a set of open-toed sandals for Aiko 3, Laura, and Maddie. 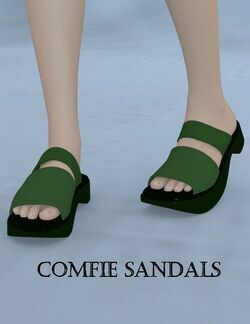 They were created by Mada, and were the September 2006 freebie at Faerie Dreams. This page was last edited on 19 October 2017, at 23:42.